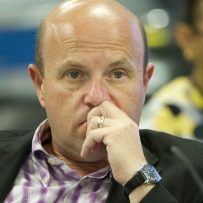 MPP Peter Milczyn is a former Toronto councillor. Mayor John Tory has warned that hundreds of community housing units may because $1.73 billion in repairs are needed. Ontario will not be handing Mayor John Tory a “blank cheque” to deal with a backlog of repairs needed in crumbling Toronto Community Housing units, says the new minister of housing. The province is waiting to see Toronto’s plan to reconfigure the agency before any money is forked over, Etobicoke-Lakeshore MPP Peter Milczyn said Monday as Premier Kathleen Wynne promoted him to her cabinet. “The city allowed our community housing to lose its focus,” said Milczyn, a former city councillor first elected to the Legislature in 2014. “That plan is crucial as to how we move forward because simply writing a blank cheque is not going to improve the quality of housing for the tenants,” he added. Tory, who has warned that hundreds of community housing units are at risk of closure within two years because $1.73 billion in repairs are needed, has been pressing Wynne and Toronto MPPs to step up with cash in an escalating war of words that began in the spring. “This is an urgent situation,” he wrote to them in open letters in June, citing a “critical” state of disrepair and blaming the province for passing the responsibility for social housing to the city. Toronto Community Housing manages almost 60,000 units in 2,100 buildings, from apartments to houses. The long list of repairs includes roofs, structural problems, elevators and substandard plumbing. If units are closed, the residents must be housed at other TCH properties while another 181,000 people are stuck on waiting lists. Milcyzn’s predecessor Chris Ballard, who was moved to the environment and climate change portfolio Monday to replace the retiring Glen Murray, has told Tory the province has repeatedly invested in affordable housing stock, but the money hasn’t filtered down to Toronto Community Housing. Milczyn, an architect who trained at the University of Toronto, was raised in the Mimico neighbourhood of his riding and won his first election in 1994 for the former borough of Etobicoke. He served 17 years in municipal politics. He got the call about the cabinet post Saturday evening as he was finishing dinner with his wife and daughter, who attended his swearing-in and subsequent news conference Monday. Since being elected to the Legislature three years ago, he has served as parliamentary assistant to the ministers of labour, infrastructure and francophone affairs.